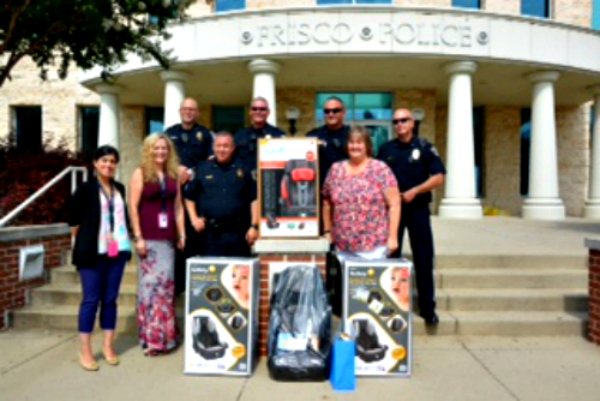 Assistance League of Greater Collin County provided much needed children items to the Frisco Police Department. Recently, the department had a situation where they needed to get children to a safe place and they did not have enough car seats to transport these children. They had to get car seats from their personal vehicles and place them in the police cars. In talking to the police department, we found that they needed car seats, coloring books, crayons, diapers, and baby formula to help with emergency needs. 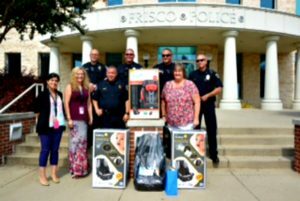 As an Outreach project, these items were purchased and delivered to the Frisco Police Department.